Upcoming DC Movies: Here are the release dates of the upcoming DC films in 2018, 2019, and 2020. Are you a die-hard fan of the DC movies? Wonder Woman is already released this year. Check out the rest of the forthcoming from the list below. The excitement for superhero movies isn’t going to slow down anytime ever. The unofficial DC Extended Universe is busy with an enormous list of upcoming movies. Some are already in works. The rest of them are tentative for now. Its list seems to be double of MCU release calendar. Jason Momoa from ‘Game of Thrones’ will be enacting the role of the hero- Aquaman. His character holds a great prestige in the DC universe. Aquaman can be described as a maritime, fish-talking and trident-lobbing role. In Batman V Superman, we encountered the hero Aquaman. The character seemed to be unimpressed by the human interactions. Though he exists in the same DC Extended Universe as others like Batman, etc. Mostly, it shows appearance in the DC extended universe. Probably, the story tale may not be a feature-length origin one. A long list of star cast hasn’t been revealed yet for the movie, the adaptation of the kid-friendly comic book. Dwayne would be playing the part of Black Adam who is the wicked rival of the titular hero named Shazam. Description of Shazam says that he is a young teenage boy whose name was Billy Batson. Billy got some powers which appear when he utters the word ‘Shazam’. Just as the word comes up from his mouth, the young boy changes into an adult-sized heroic personality with super strength, increased intelligence and some lightning based powers. Todd Phillips will direct it while it will be co-produced by Phillips and Martin Scorsese. Joaquin Phoenix will be featured as the Clown Prince of Crime. The movie is set in 1980s and will see the origin of Joker. It’s going to be a gritty and grounded hard-boiled crime film. Phillips is working with Scott Silver and filming is scheduled to start in September 2018 in NY City. Marc Maron will appear in an unknown role. Wonder Woman sequel is in production. It’s set in 1980s with a prominent Cold War atmosphere. Gal Gadot will reprise her role. Patty Jenkins is the director and co-scriptwriter with Geoff Jones and Dave Callaham. Kristin Wig will play Cheetah, one of Wonder Woman’s primary villains. Pedro Pascal will also have a major role to play. Chris Pines will portray Steve Trevor. The footage was teased at San Diego Comic Con 2018. Almost after one year, there will be the launch of the ‘Justice League’ sequel. New developments and events would be captured. The star cast for the movie includes Henry Cavill, Jason Momoa, Ben Affleck, Ezra Miller and Gal Gadot. Zack Snyder will once again be stepping in as the director. The futuristic world of 2020 would be entertained with the release of ‘Cyborg’. Who’s Cyborg? One of a mechanically enhanced superhero identity of Victor Stone. At a very young age, the superhero went through experimentation by his parents. A glimpse of his origin story is already revealed in ‘Batman V Superman’. The star cast includes Ray Fisher from ‘The Good, The Bad And The Confused’. Further, this agreement is true with the ‘Justice League’ films and he will be appearing there too. The UK release date is not known yet. The premiere date for ‘Green Lantern Crops’ movie has been officially declared, viz., 24 July 2020. Fans will get to watch the movie after a time period of nine years. Probably, the film would be revolving around a team of Lanterns instead of just an individual. Nothing yet revealed about Green Lantern in ‘Batman V Superman’. Alternately, we can figure out the glance of it in ‘Deadpool’. Some confirmed date for the movie hasn’t been signed yet but the US release date supposed to be in 2020. For any changes, be patient! Here, the part of Barry Allen (AKA The Flash) would be enacted by Ezra Miller from ‘The Perks of Being a Wallflower’, ‘Trainwreck’ and ‘We Need To Talk About Kevin’. Seth Grahame Smith penned the latest draft of the movie’s script. His other works include ‘Abraham Lincoln: Vampire Hunter’ and ‘Dark Shadows’. In June 2017, Smith dropped the project and Rick Famuyiwa was announced as The Flash’s director. The sequel was announced in March 2016. Gavin O’Connor will direct the film and co-write the script. It will be co-produced by Charles Roven and Michael de Luca. David Bar Katz and Todd Stashwick are the latest addition in the writers’ room. Margot Robbie, Jared Leto, and Will Smith will return as Harley Quinn, The Joker, and Deadshot. Let’s see if Karen Fukuhara and Jai Courtney return as Katana and Captain Boomerang. Production is slated to start in October 2018. 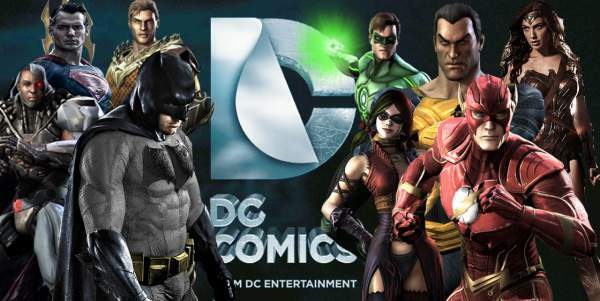 That’s all we know so far regarding upcoming dc movies release dates. Stay tuned to TheReporterTimes for more DC updates.